For baseball card collectors, the game changed in 2006. 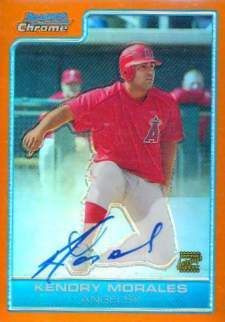 New licensing agreements meant that official rookie cards could only be made after a player made their major league debut. But that didn't stop Topps from getting creative. 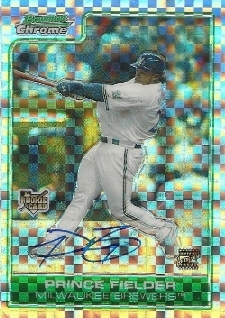 2006 Bowman Chrome Baseball keeps the prospect cards, only as a part of a separate insert set instead. 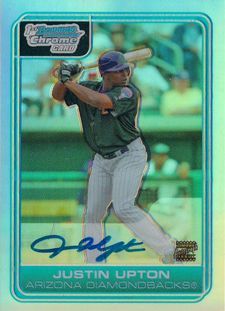 The prospect cards carry the same design as the regular Bowman Chrome cards, however they are only licensed by Major League Baseball. 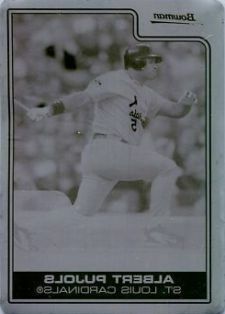 The young players are still pictured in their major league uniforms and while they aren't official rookie cards, they remain highly collectible on the secondary market. Key prospect cards in the set include Pablo Sandoval, Yovani Gallardo, Jeremy Hellickson and Cameron Maybin. 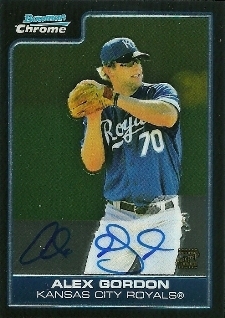 Autographed Bowman Chrome Prospects feature Justin Upton, Alex Gordon, Matt Garza and Jon Lester. 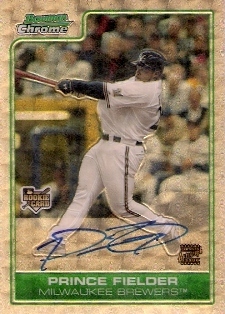 The 2006 Bowman Chrome Baseball set has 224 cards, including five autographs. The Prospect insert cards are numbered BC111 through BC247. Cards BC221 to BC247 are all autographs, which combined to fall one per hobby box. 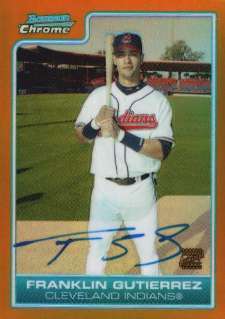 The first 110 Chrome Prospect cards were included in 2011 Bowman Baseball. The change in the MLBPA's rookie card definitions make for further confusion as players with official rookie cards in sets from earlier years are classified as rookies once again. An example of this is Prince Fielder. 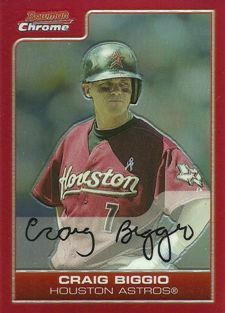 Although his autograph is one of the top cards in 2006 Bowman Chrome Baseball, it's not a true rookie. He appeared in several fully licensed sets in 2005. Others with players with rookies in earlier sets include Jonathan Papelbon, James Loney, Conor Jackson, Cole Hamels, Justin Verlander and Hanley Ramirez. 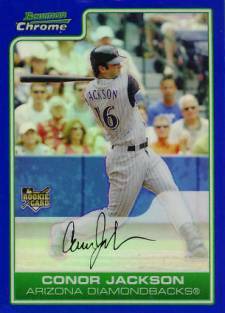 In fact, the only official rookie cards in 2006 Bowman Chrome Baseball are Jeremy Accardo, Alay Soler, Kenji Johjima and Craig Hansen. 2006 Bowman Chrome Baseball hobby boxes come with 18 packs of four cards. All Refractor types were made for both base and Prospect cards. 2006 Bowman Chrome Factory Sealed Baseball Hobby Box Jose Bautisa AUTO ? ?